Are you the only one on earth holding out without buying a flat panel LCD TV? Sorry this deal is going to tempt you. A lot. 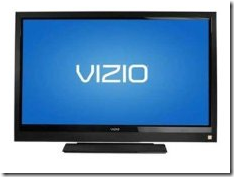 Amazon has VIZIO E420VO 42-Inch 1080p LCD HDTV for $498.00 with free shipping! This full HD television has 4.5 star rating on Amazon and that is a great thing to look for. It boasts 100,000 to 1 dynamic contrast ratio and SRS TruSurround HD audio, Ambient light sensing technology. Plus, Amazon is throwing in a TV low price guarantee and a free 30 day TV return if you don’t like it. Check out the VIZIO E420VO 42-Inch 1080p LCD HDTV now before it sells out.